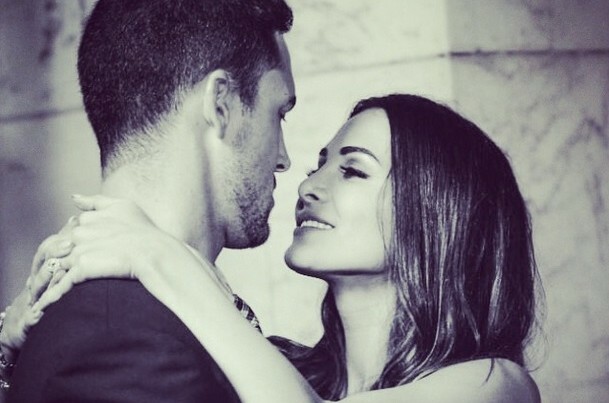 In celebrity news, Josh Murray, who appeared on The Bachelorette in 2014, blatantly compared his ex-fiancée, Andi Dorfman, to the Devil, in a recent Instagram post. According to EOnline.com, the contemptuous photo of the celebrity exes showed Murray down on one knee proposing to Dorfman, whose face is covered up by a devil emoji. Murray captioned the Instagram post, “Haterz will say it’s photoshopped … hoping the new bachelor comes away with an Angel,” including the hashtags “#isthisnotfunny” and “#doesanyonehaveasenseofhumorin2019.” After splitting less than one year after their engagement, this celebrity break-up hasn’t led to an amicable relationship for the former Bachelorette stars. These celebrity exes are not exactly on good terms. What are some ways to keep things civil with your ex? ..Ready for the rest? Click here for more! Summer is here, and so is vacation season! 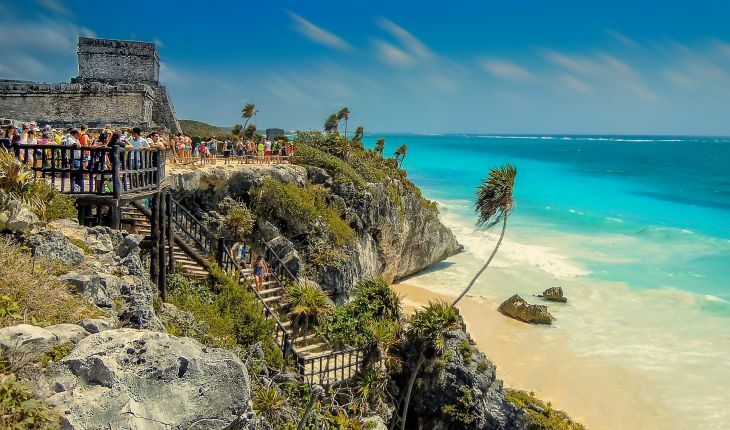 If you’re trying to find your next getaway spot, checking out some of the hottest celebrity travel locations may be the way to go. While you’re there, why not try taking your own celeb-quality Instagram moment to really make yourself feel like a star? After all, you deserve it! Interested in finding the perfect luxury travel location for your summer vacation? Cupid has exactly what you need! …Don’t miss the rest — click here to keep reading! In celebrity news, Bachelor in Paradise: Season 3 sweetheart Amanda Stanton is coming back for Season 4! 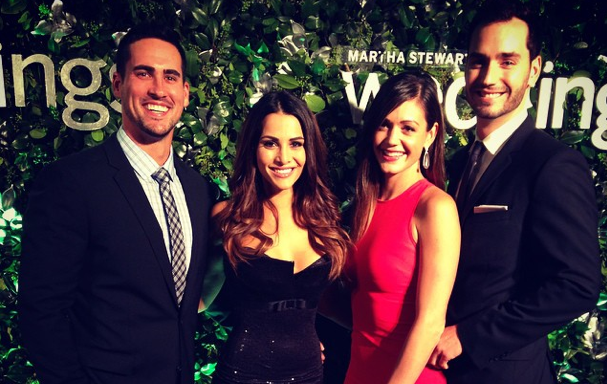 Since her split from Josh Murray, Stanton is returning for another chance at love. Last month, she spoke with UsMagazine.com and shared how the connection between the couple faded once the show ended. It has been difficult for her to move on from their celebrity break-up, but maybe this time she will meet Mr. Right. Best wishes to Amanda in the upcoming season! In this celebrity news, Amanda Stanton is taking another shot at love. What are some unique ways to find love? Are ‘Bachelor’ Nation’s Josh Murray & Amanda Stanton a Celebrity Couple Again? Back together again? According to UsMagazine.com, The Bachelorette alum Josh Murray opened up about his recent date with celebrity ex Amanda Stanton. “There’s a lot of things that we need to talk about, a lot of things that we need to get off our chest and everything like that, but we’re trying to work on things in more of a private manner this time, especially taking into consideration Kins and Char, the girls,” the reality TV star revealed during a radio show interview. “So we don’t want to rush anything or say anything that’s not going to happen. But we are talking a little bit right now, and we are going to see what happens.” The celebrity couple got engaged during Bachelor in Paradise last summer but confirmed their break-up this past December. As they work to figure out their celebrity relationship, they’re both currently in Murray’s hometown of Atlanta. This celebrity couple has gone through some hard times lately. What are some ways to grow from hard times with your partner? After ending their engagement just before the holidays, it looks like reality TV stars Josh Murray and Amanda Stanton are giving love another chance. According to ETOnline.com, the former celebrity couple, who met last spring while filming Bachelor in Paradise, were spotted packing on the PDA in Los Angeles over the weekend. Fueling the reconciliation rumors, this past Wednesday, Murray tweeted, “Crazies stick with crazies #breakovermorepackingtodo.” Only time will tell if this celebrity relationship has staying power! This celebrity couple is giving love another chance! How do you know if you should get back together with an ex? 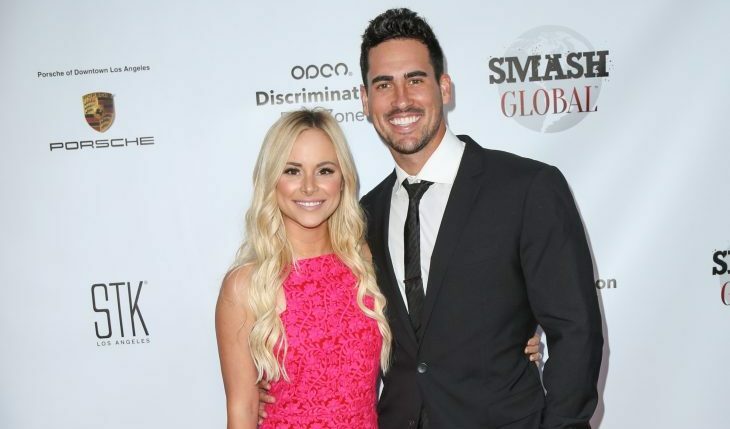 Celebrity News: Did ‘Bachelor’ Alum Amanda Stanton Just Call Out Ex Josh Murray on Twitter? 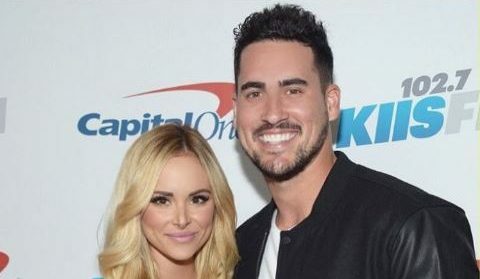 It seems that celebrity exes and Bachelor Nation alums, Amanda Stanton and Josh Murray, may still be experiencing some fall-out from their celebrity break-up. According to UsMagazine.com, Stanton was on Twitter commenting on the current season of The Bachelor, when she said, “Poor Nick! That slap looked like it hurt haha I could definitely think of someone more deserving of that… #thebachelor.” This celebrity news has us believing that the comment was directed at her recently single ex, Josh Murray. The duo met on Bachelor in Paradise, and Murray moved to California to be with Stanton. Recently, the news came out that the two couldn’t make it work, and Murray moved back to Atlanta, Georgia. In celebrity news, this pair is still experiencing some fall-out from their break-up. What are some ways to keep the fall-out after a break-up to a minimum? According to UsMagazine.com, Andi Dorfman, former star of The Bachelorette, had a had a rockin’ good time after the Country Music Awards Festival this past week with upcoming country star, Sam Hunt. Although, sources think that Dorfman and this celebrity relationship with Hunt was just a little fling. She is working on focusing on herself this year after being in a long relationship with celebrity ex Josh Murray. Dorfman is enjoying her new life in NYC and may not be looking to be tied down anytime soon! Country meets reality TV! What are some ways to reconcile differences in a relationship? Celebrity exes Andi Dorfman and Josh Murray aren’t shy about publicly displaying their search for love. What are three reasons exes should not openly flaunt their dating life in front of one another? … Need to know the rest? Click here! 'The Bachelorette' winner Josh Murray & reality TV star Ashley Iaconetti aren't in a relationship & love despite looking like a celebrity couple. Photo courtesy of Josh Murray's Instagram. 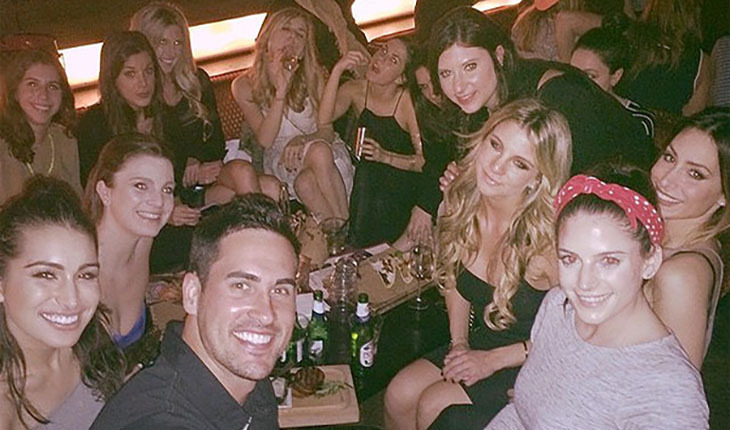 Last Monday, The Bachelorette season 10 winner Josh Murray and The Bachelor season 19 contestant Ashley Iaconetti were seen with a large group partying in New York City, prompting rumors that these reality TV stars are a new celebrity couple. Murray posted a picture of the mostly gal group on his Instagram, saying, “Had a great time, NYC, it’s always nice meeting new friends.” Only Iaconetti and one other woman were tagged in the shot of 13 party-goers. People.com reported that Murray was in New York working for fitness and nutrition brand AdvoCare. Despite sitting close and looking like a cute famous couple, both Murray and Iaconetti insist they aren’t dating. These two reality TV stars have denied being a celebrity couple, but given their similar experiences, we think they’d be a good pair! Find out how a common background can help your relationship and love be a success. 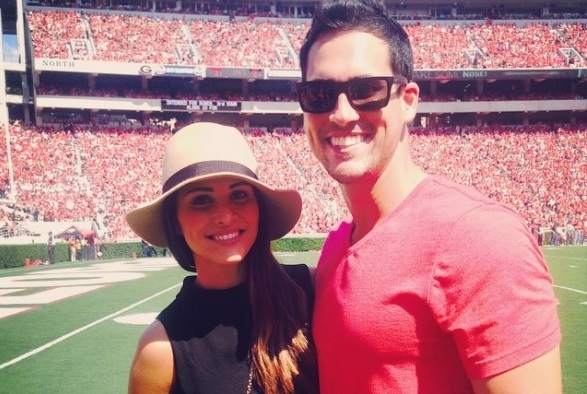 Josh Murray and Andi Dorfman. Photo courtesy of Andi's Instagram. It’s only been two months since his sudden celebrity break-up with Andi Dorfman, but Josh Murray seems to be doing just fine. At the iHeartRadio Music Awards, E! Online asked him if he missed his celebrity ex, and he said no. “We’re friends and everything like that,” he responded. “But at the end of the day, when you’re very different from somebody else, it just doesn’t work out.” He also said that, while eventually he wants a relationship and family, he’s not dating right now. When asked if he would consider returning to The Bachelorette to find that special someone, he replied, “It was a great experience, but I did that already, and I’m kind of moving on from that specific part of my life.” Still, he hasn’t ruled out the possibility of being the next Bachelor if asked. The winner of The Bachelorette seems happy without his celebrity ex. What are some ways you can cope with a break-up and move on too? …Don’t miss the rest. Click here! 'The Bachelorette' Andi Dorfman and Josh Murray are celebrity exes after a celebrity break-up that shocked fans of 'The Bachelor' franchise. Photo courtesy of Andi Doorman's Instagram. Some celebrity love stories don’t end with holy matrimony. Celebrity exes Andi Dorfman and Josh Murray split a few months ago during the holidays. According to UsMagazine.com, Dorfman said this is the biggest failure of her life so far. The reality TV star also said that the celebrity breakup was mutual, stemming from compatibility issues. Even celebrity exes like ‘The Bachelorette’ star Andi Dorfman and Josh Murray deal with feelings of failure in the wake of a break-up. What are some ways to keep those feelings at bay? 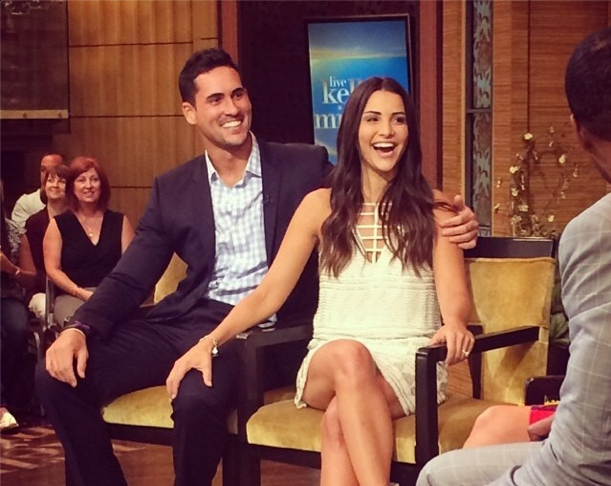 Fans of The Bachelorette have been wondering why Andi Dorfman and Josh Murray called off their engagement. According to HollywoodLife.com, these celebrity exes were more interested in reality TV fame than in each other. Apparently, Murray never even wanted to win The Bachelorette season 10! “During the filming of the show, the producers kept telling Josh that if Andi didn’t pick him, he would be the next Bachelor,” a source said. “So he has been resentful towards Andi because he knows he could have been in the limelight as The Bachelor, so now [that he’s single] he is going to make a play to try to be the next Bachelor. Even though they are telling their friends [their split] was mutual, he ended it.” The source went on to say that there was an attraction between the reality TV stars, but in the end, they were more interested in being famous than being with each other. Celebrity exes Andi Dorfman and Josh Murray may have put their reality TV fame first, costing them their relationship and love. How can you keep your career goals from getting in the way of your personal life? The celebrity news that reality TV stars Andi Dorfman and Josh Murray split came as a shock to many. While we still don’t know what caused this celebrity break-up, they have remained very amicable — but that might be changing. At the end of January, Murray tweeted, “Having to change all my passwords because someone keeps logging into my social media accounts SMH.” This left us wondering: Is former Bachelorette Dorfman cyber stalking her celebrity ex? Her response came very quickly — only 9 minutes later according to thestir.cafemom.com. She replied, “Join the club … Got better things to do with my life #blessed.” While we can’t say for certain who these tweets are directed at or what they really mean, we can assume that there’s some tension following this celebrity break-up. These reality TV stars seemed friendly after their celebrity break-up, but it looks like their claws are coming out now! How can you move on after a split? …Want to know more about how to handle a break-up? Click here! This man knows a celebrity break-up when he sees one! According to UsMagazine.com, Chris Harrison, the newly single host of The Bachelor and The Bachelorette series, knew something was up with former The Bachelorette star Andi Dorfman and fiancé Josh Murray before they split. Harrison said, “I knew things were a little off. They were being a little awkward and weird. But you know, they’re from Georgia. You know those people.” The celebrity exes announced their break-up just after they attended The Bachelor season 19 premiere together. Celebrity exes Josh Murray and The Bachelorette star Andi Dorfman gave nothing away the day before their celebrity break-up announcement. How do you remain civil with an ex in the midst of turmoil? Recently, the latest celebrity news and gossip centered on the sudden celebrity break-up of The Bachelorette couple Andi Dorfman and Josh Murray. According to UsMagazine.com, Chris Harrison, the host of The Bachelor, said he had no idea that the celebrity couple was about to split. When Harrison saw the soon-to-be celebrity exes, he asked about their wedding plans in an interview. “By no means did I know they were broken up and did that interview, because honestly, having been through a crappy breakup, I would’ve protected it more and stayed away from wedding talk and I wouldn’t have put them on the spot,” Harrison told TV Guide. Although Harrison usually knows the drama between The Bachelor contestants, he seemed out of the loop on this one! Life isn’t filled with as much drama as you see on ‘The Bachelor,’ but what are some ways to keep it out of your relationship? Another one bites the dust! 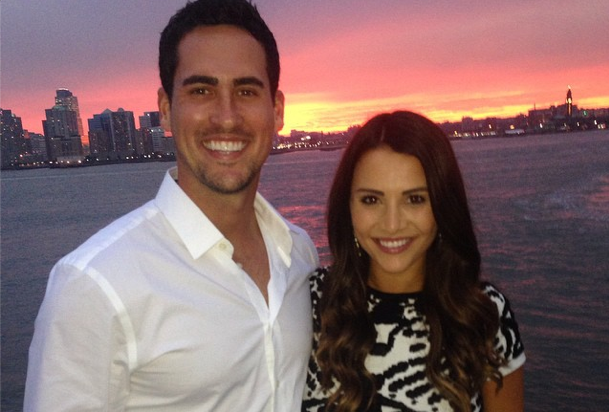 Earlier this week, reality TV couple Andi Dorfman and Josh Murray announced that they have ended their engagement. In a joint statement published by People.com, the pair, who met and fell in love during The Bachelorette season 10, said, “After several months of being engaged and working on our relationship, we have decided that it’s best for both of us to go our separate ways. We are very sad that it has to come to this point, but this is what’s best for both of us individually.” The news of this celebrity breakup was a shock to many, as the couple appeared happy during their red carpet interview prior to Monday night’s premiere of The Bachelor. In light of this surprising celebrity breakup, how can you handle questions about your sudden split? 1. Just say “no comment”: Breakups are private and potentially very painful for the parties involved, so there’s nothing wrong with telling a questioner that it’s none of their business. However, it’s usually best to put it as nicely as possible. Thank the person for their concern and then simply say that it’s a private affair and that you’d rather not talk about it. 2. Avoid pointing fingers: In most situations, a split is not the fault of just one person. Take a cue from this celebrity breakup and do your best not to place blame on your ex. After all, listing the faults of your former partner post-breakup isn’t going to make you look any better. Related Link: Can You Really Find Love on ‘The Bachelor’? 3. Be on the same page: Right after your split, this may seem near impossible, but in the coming months, it will help the situation if you remain amicable. You can avoid drama by making sure your stories match and your facts are true. Have a quick conversation and answer the question, “What are we going to tell people?” This will eliminate a lot of the confusion friends and family may have about what happened and hopefully help dodge any hurt feelings by sharing something too private. How do you handle questions about a sudden breakup? Tell us in the comments below! Andi Dorfman is searching for her perfect wedding dress. Photo courtesy of Andi Dorfman's Instagram. One of the most important aspects of any girl’s dream wedding is, of course, her gown. Five months into her engagement to Josh Murray, former Bachelorette Andi Dorfman is in the early stages of wedding planning. According to Wetpaint.com, the Atlanta natives are currently in New York City for Couture Bridal Fashion Week. Not only will the couple sit front row at the Mark Zunino for Kleinfeld’s 2015 collection show, they’ll also attend multiple events with the Kleinfeld team. As evident on Dorfman’s Instagram account, they’ve been spending time with Bachelorette couple Desiree Hartsock and Chris Siegfried. We can’t wait to see what wedding dress the stylish reality star picks! ‘Bachelorette’ pairs Josh Murray and Andi Dorfman and Desiree Hartsock and Chris Siegfried attend Couture Bridal Fashion Week. Photo courtesy of Andi Dorfman’s Instagram. What are three ways to stay calm during wedding planning? 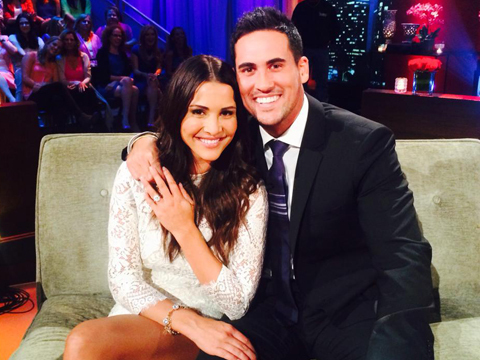 With Bachelorette Andi Dorfman accepting Josh Murray’s proposal, talk of a wedding isn’t far behind. “We have not really started making [plans],” says Dorfman. “I think I’m gonna enjoy being engaged for a little while…” According to UsMagazine.com, the newly engaged bachelorette was then asked if she would invite old flame Juan Pablo Galavis to the wedding. “Um, yeah—just gonna be a soft ‘No’ for now,” she responded, later adding, “If he marries Nikki, he gets an invite.” The newly engaged couple is talking about a spring wedding, but nothing is for sure quite yet! What are some reasons to tie the knot?